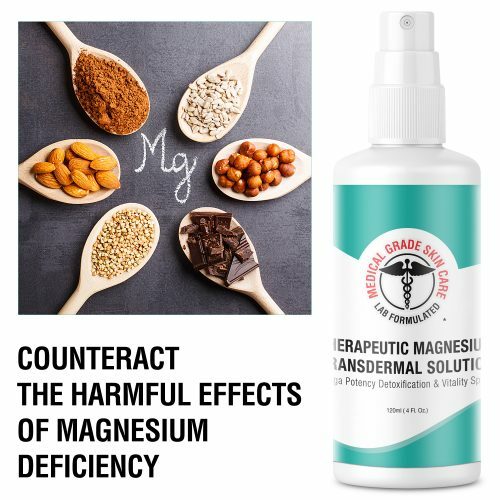 The only product you’ll need to combat a magnesium deficiency! 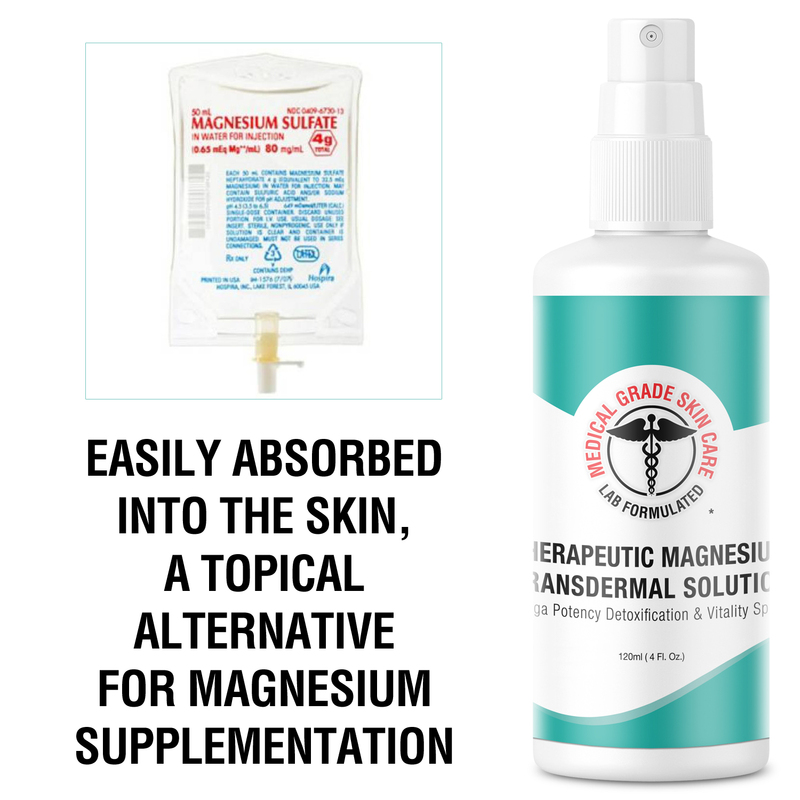 As diets have changed over time and magnesium intake has depleted, this has become one of the most important supplements to restore nutrition and balance to the body. 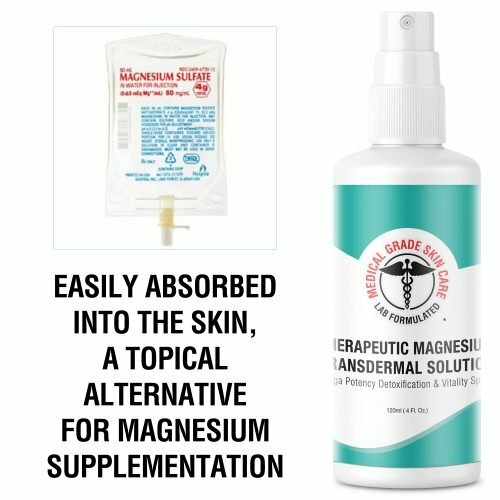 It has been estimated that 75% of adults are consuming a diet that is insufficient in this crucial nutrient. 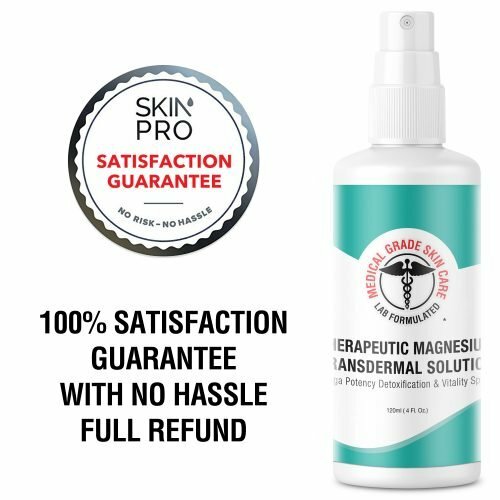 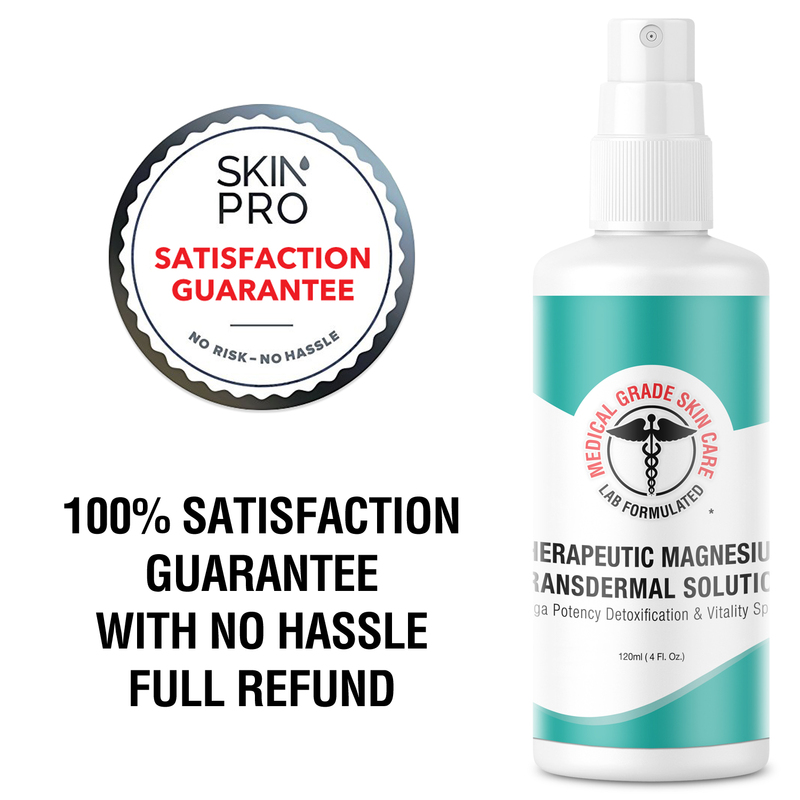 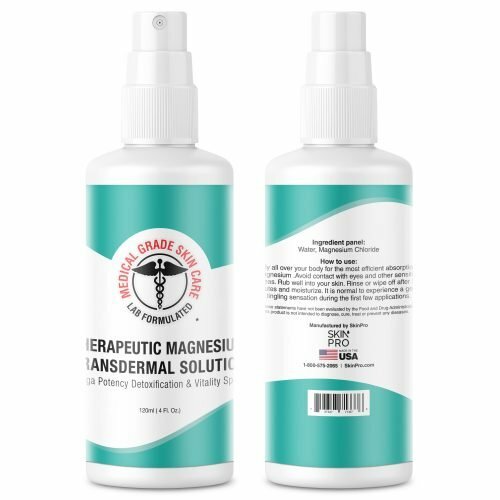 While it had previously only been available through oral supplements or intravenous fluids, you can now replenish your body with our Therapeutic Magnesium Transdermal Solution in a topical spray form. 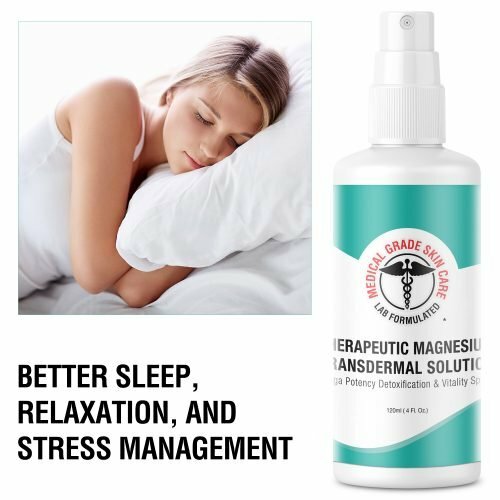 An instrumental part in hundreds of physiologic processes in the body, a deficiency can lead to a multitude of adverse health effects such as hypertension, headaches, cardiovascular disease, and diabetes. Use of this product can help reduce aches and pains in the muscles and joints, improve sleep and relaxation, boost mood and energy levels, promote healthier skin with fewer outbreaks of common skin issues, and strengthen bones. 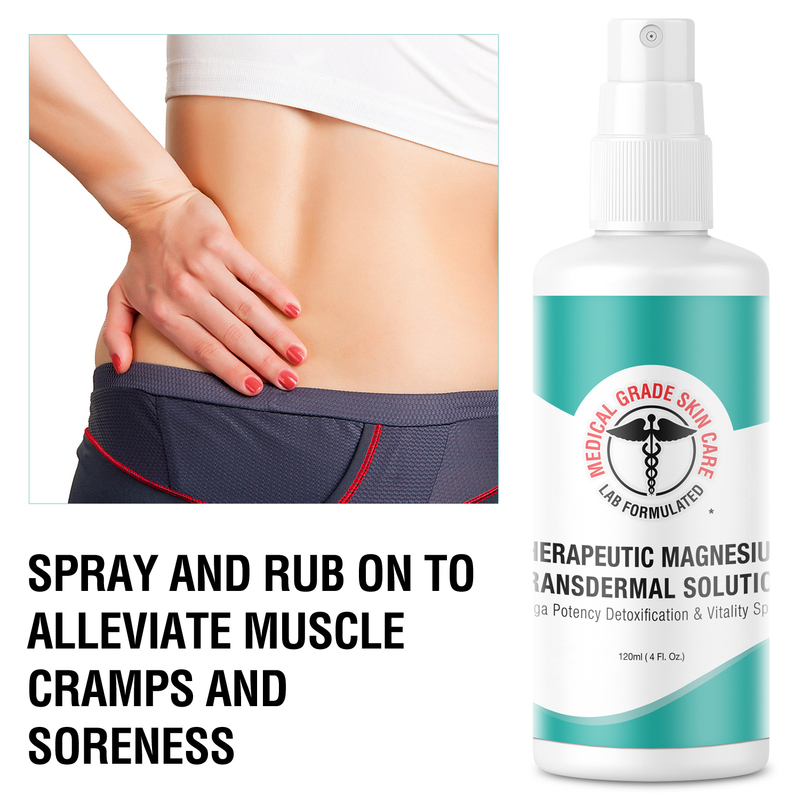 Apply all over your body for the most efficient absorption of magnesium. Avoid contact with eyes and other sensitive areas. Rub well into your skin. 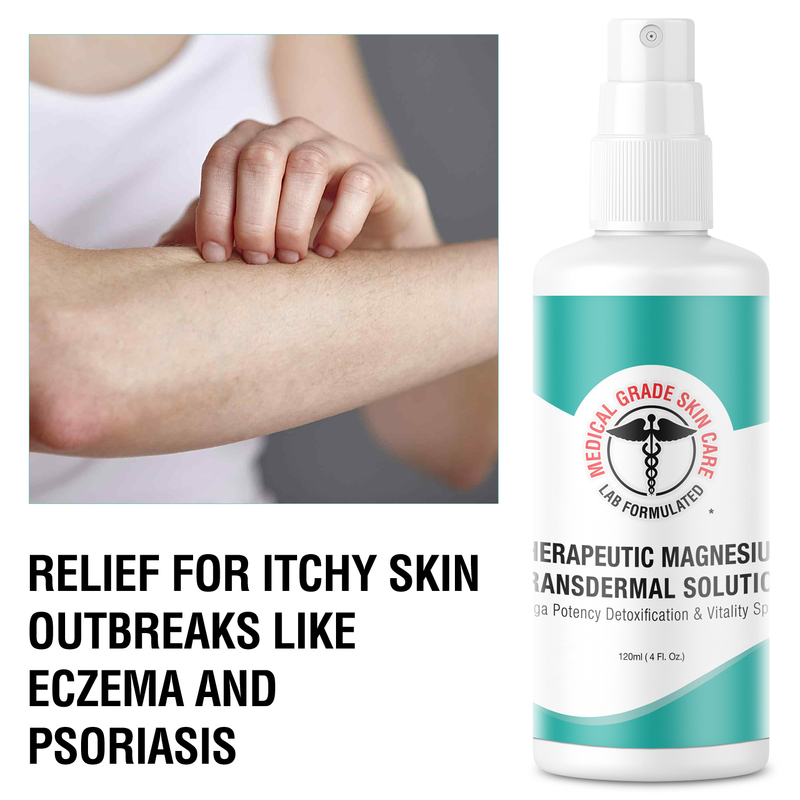 Rinse or wipe off after 20 minutes and moisturize. It is normal to experience a gentle tingling sensation during the first few applications.